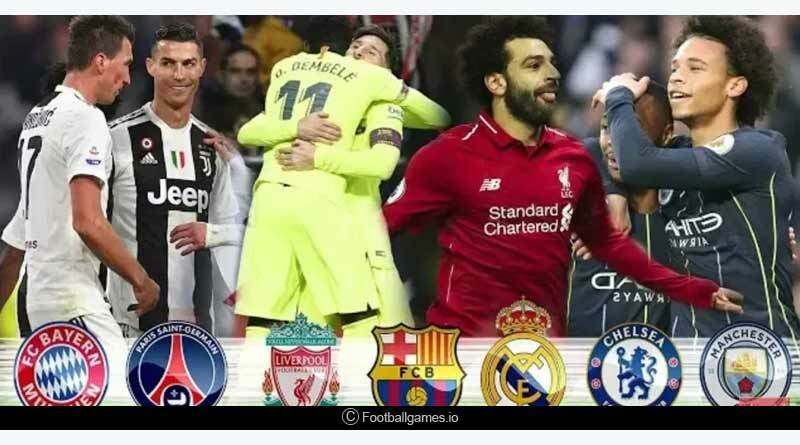 Gameweek 13 of the premier league brought joy for some and misery for others after a terrific week of football in the premier league saw the table change its shape yet again. While the top 2 remained intact with both Manchester City and Liverpool accelerating to comfortable wins, there was movement beneath them with Tottenham upstaging Chelsea in the week’s headliner to move up to third place. Going forward with Premier League 2018-19 gameweek 13 match highlights, at the bottom of the table, Huddersfield pulled themselves out of the relegation spots with a 2-0 win against Wolverhampton. Strugglers Fulham got life under new management off to a dream start after they defeated Southampton in a five-goal thriller. The doom and gloom meanwhile continued for Cardiff who was defeated yet again, this time suffering a 1-0 defeat away to Everton. Our review of the gameweek begins with the flavour of the week, the London derby which has given us plenty of talking points to discuss. The Wembley Stadium left the home crowd ecstatic with a magnificent performance from the home team, one that saw them blow Chelsea off the blocks. Aiding them in their cause was Chelsea themselves, who put on their most shambolic defensive display this season to capitulate in shocking style on the night. The warning bells were sounded for Chelsea from the opening whistle itself as the defence was caught out of position on too many occasions with Tottenham pressing with intent. Pumped up for the derby, Tottenham clearly wanted the win more than Chelsea and opened the scoring in the 8th minute itself via Deli Ali. Not learning from their mistakes, Chelsea continued giving the ball away far too cheaply with no cohesion and semblance in their back four. In what was an amateur mistake by David Luiz, the centre back leapt out of the way of a long ranger by Harry Kane to leave goal-keeper Kepa blindfolded and give the hosts a 2-0 lead. The misery of Chelsea’s defence continued in the second half with Son going past Luiz who had one of his worst nights in a Chelsea jersey to triple Tottenham’s lead. With the match long gone from their hands, Chelsea did manage a consolation through Giroud whose powerful header in the back of the net once again affirmed that he needs to start for Chelsea over Morata every match. The performance of the week once again went to defending champions Manchester City who blew past West Ham. Getting off to a blistering start, City got the first of their four through the inform David Silva. There was no looking back from there on for City who sublime and graceful football saw Leroy Sane and Raheem Sterling link up twice to give the visitors a 3-0 lead going into the first 45. The second half saw City ease back a gear as they controlled proceedings with an unassailable lead at hand. Such is their footballing class though, that even playing with one foot off the pedal, they managed to add to their lead, with Sane getting a fourth in the dying moments of the game. Liverpool continued to snap at City’ s heels with a 3-0 win of their own away to Watford. After not enjoying the best of first halves, one that saw Liverpool struggle to stitch together a good attacking move, the floodgates opened in the second with a much improved Liverpool side stepping up their game. Salah, Arnold and Firmino all got on the score sheet to see Liverpool remain 2 behind City and only the second unbeaten side after them in the premier league. The match of the week was without a doubt Bournemouth Vs Arsenal with two attacking sides staying true to their identity when the two met in the first of two matches on Sunday. Playing with intensity and intent, both teams attacked throughout the match in what was a visual treat for spectators. Unlucky to go behind after Lerma finished in the back of his own net, Bournemouth equalised just before the end of the first half before Aubameyang restored Arsenal’s lead to give them the three points on the day. 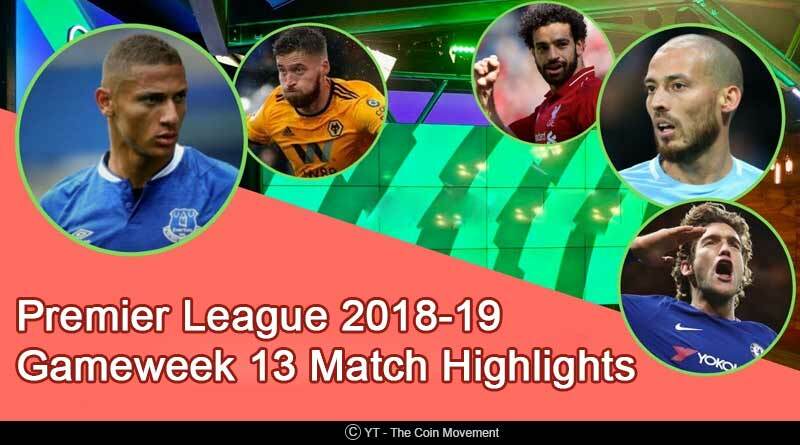 For more details on Premier League 2018-19 gameweek 13 match highlights and related updates, like and subscribe to tentaran.com.